Spice Jet Walkin Drive For Female Graduates | Cabin Crew Jobs | 16th February 2018 – Mumbai. Spice Jet is conducting walkin Recruitment in Mumbai. Aspirants who had completed graduation are eligible to attend for the Spice Jet Walkin Drive. Spice Jet has stated that only Female candidates are eligible for this Spice Jet Recruitment. Job seekers must have to carry a hard copy of updated Resume along with passport and full-length Photograph. Freshers age limit is in between 18 years to 27 years. Having good communication skills, graduate in any discipline along with pleasing personality would be an added advantage. Before going to appear for the Spice Jet Walkins have to prepare Spice Jet Placement Papers and Spice Jet Test Papers. It helps to gain good knowledge and helps to perform well in the Selection Process. Aspirants have to check the whole post for to know the important information like Job Requirements and candidate profile etc. Candidates have to bring mandatory documents which are mentioned in this post. Keep on visiting All India Jobs for Regular job updates. Only Female needs to Apply. Undergraduate or graduate in any discipline. Height- Females-155 cms & above. Age limit for fresher – 18 yrs to 27 years. It has come to our notice that certain miscreants are illegally representing themselves as employees, associates, agents, consultants of Spice Jet, and using its name to make employment offers for consideration. The General Public is hereby cautioned and advised that Spice Jet Ltd. has not authorized any Person, Agent or Agency to take interviews, offer employment or issue offer, employment letter for and on behalf of Spice Jet Ltd.
Any person approaching such unscrupulous person(s) for the job, employment with Spice Jet Ltd. for consideration shall do so at their own risk, cost and consequences. Spice Jet will not accept liability in any circumstances for any loss and, or damage resulting from these unauthorized offers or advertisement(s). Spice Jet will also take such legal action as may be deemed appropriate against such unauthorized advertisements, persons. Dress Code: Girls- Knee Length Skirt with Shirt, Knee length formal dress. SpiceJet is a low cost airline headquartered in Gurgaon, India. The fourth largest airline in the country by the number of domestic passengers carried, with a market share of 12.6% as of March 2017. The airline operates 312 daily flights to 55 destinations, including 45 Indian and 10 international destinations from its hubs at Delhi, Kolkata and Hyderabad. Established as air taxi provider ModiLuft in 1994, the company was acquired by Indian entrepreneur Ajay Singh in 2004 and rechristened as SpiceJet. The airline operated its first flight in May 2005. Indian media baron Kalanidhi Maran acquired a controlling stake in SpiceJet in June 2010 through Sun Group which was sold back to Ajay Singh in January 2015. The airline operates a fleet of Boeing 737 and Bombardier Dash aircraft. 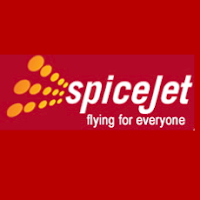 Spice Jet Walkin Recruitment for graduate freshers. Candidates who had the wish to attend for the latest job vacancies in Mumbai can refer the entire post. Interested and qualified candidates can attend for walkin drive on 16th February 2018.